Welcome to San Antonio! If you’ve decided to live in Alamo Heights, then you’ve chosen a city within a city. You’ll get all the advantages of a large metropolitan area along with the warmth, convenience and friendliness of a small town. We bet you’ll feel right at home in no time. And right at home is also how you should feel in your dentist’s office. The atmosphere should be welcoming, the customer service should be attentive and the dentistry should be cutting-edge. To help you find the dentist that’s right for you, here are some questions to think about complements of the dentist in Alamo Heights. Is the Office Convenient and Accessible? You should definitely choose an Alamo Heights dentist that is near your home or work. Why drive a long distance when there is probably a qualified dentist with an office no more than 10 minutes away? Make sure the dentist you choose has office hours that work with your schedule. Some dentists work longer hours one day and shorter hours the next. Others work consistently throughout the week. Be sure to ask before making your decision. Also, you definitely need a dentist that is available immediately in case of a dental emergency. A hospital is often not the best place to go when dealing with an urgent oral problem. Have a dentist willing to help at a moment’s notice. Where was the Dentist Educated and Trained? It never hurts to know where any health care professional received his or her education and training. In addition, you always want to choose a dentist that values continuing education in the field of dentistry. There are constantly new technologies, methods and materials on the horizon. Each one is meant to improve the care you receive and the outcome a dentist near Alamo Heights is able to achieve. What Services Does the Dentist Offer? Ask prospective dentists about the services they offer. Thanks to advanced technologies, you should be able to receive a wide range of treatments under one roof. 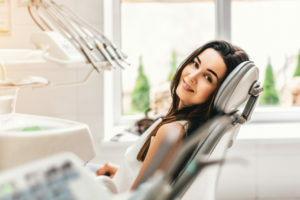 In addition to basic services such as dental cleanings and exams, tooth-colored fillings and dental crowns, you may want a dentist that is also able to provide dentures, dental implants, TMJ therapy and cosmetic treatments such as porcelain veneers. For the sake of your smile, make finding a dentist near Alamo Heights one of the first things you. Call to schedule a consultation today. A graduate of the University of Texas Health Science Center at San Antonio, Dr. Joseph Noble has more than 20 years of experience practicing dentistry. He is as passionate today as he was when he first started, which drives him to deliver the absolute best care. Dr. Noble has several professional affiliations and can be reached for more information through his website.